Do you like berries in pies, on top of oatmeal, in baked goods, in smoothies, in sauces, or as a refreshing snack? By following proper preparation steps, you can freeze berries so that they maintain flavor, color, and nutrients for all of these uses and more. Remember the idea of “quality in, quality out” in selecting fully ripe, firm berries that are not too soft, under-ripe or damaged. 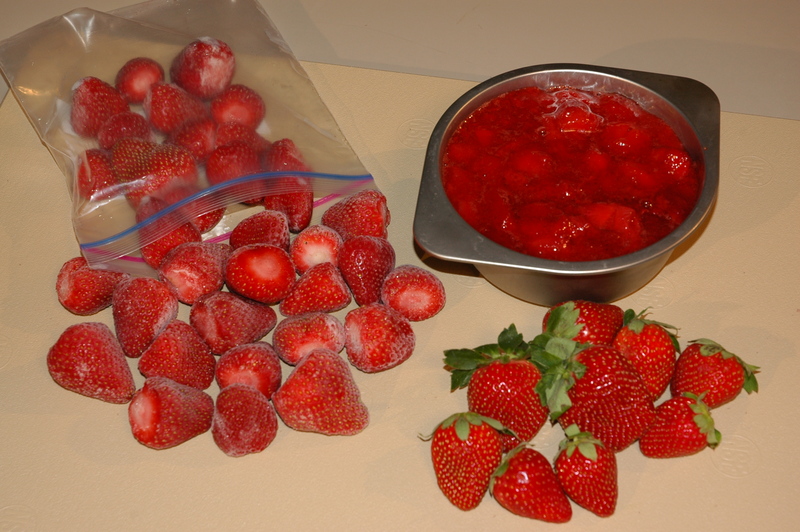 A dry pack is simply placing clean berries in freezer containers, sealing the container, and freezing. Unless they are tray packed (see below), they most likely will clump together and be difficult to separate into individual berries. Note: Dry blueberries completely after rinsing, or else the moisture on the blueberry skin will cause tougher skins. 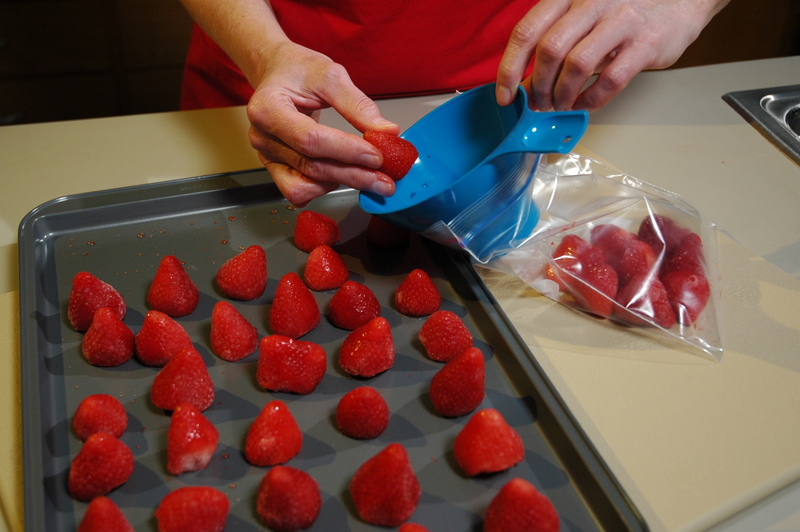 A tray pack works well to help maintain the shape of each individual berry and keeps them easy to remove from the container and separate from each other. This method is called a tray pack because after rinsing and completely drying the berries, you spread them in a single layer on a shallow tray (like a cookie sheet), then carefully lift the tray into the freezer without causing berries to touch each other. As soon as they freeze, seal the berries in an airtight container and place them back into the freezer so they don’t get freezer burn. Okay, we know not every source recommends washing blueberries before freezing them. It is your choice; we just like them to be as clean as possible and completely ready-to-eat when it’s time to take them out of the freezer. But, they do need to be completely dry before freezing for best quality. 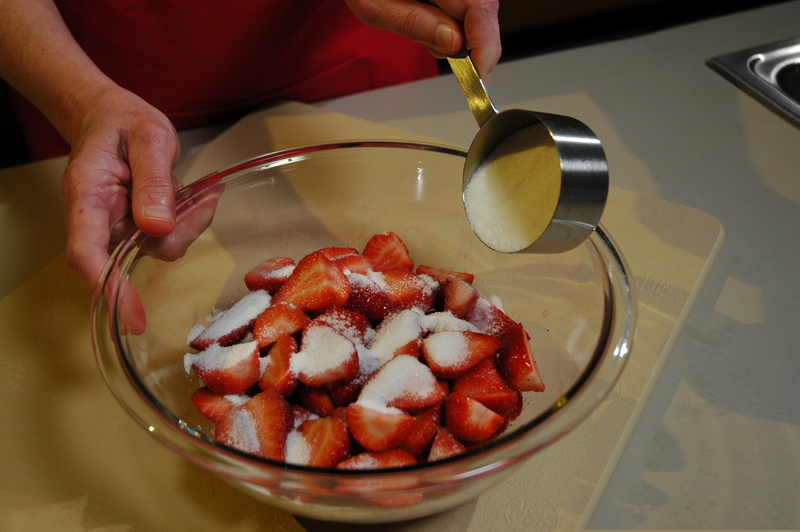 A sugar pack is like a dry pack but with one extra step – gently mix ¾ cup sugar per 1 quart (1⅓ pounds) clean berries. 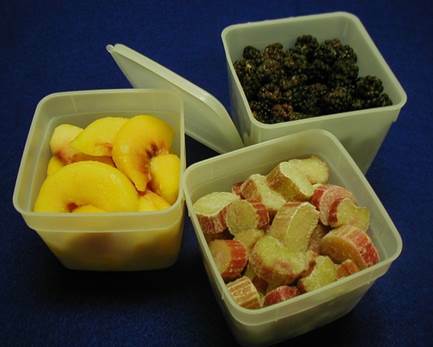 Let sit a short time until the juice is drawn out and the sugar dissolved before filling into freezer containers, sealing, and placing in the freezer. 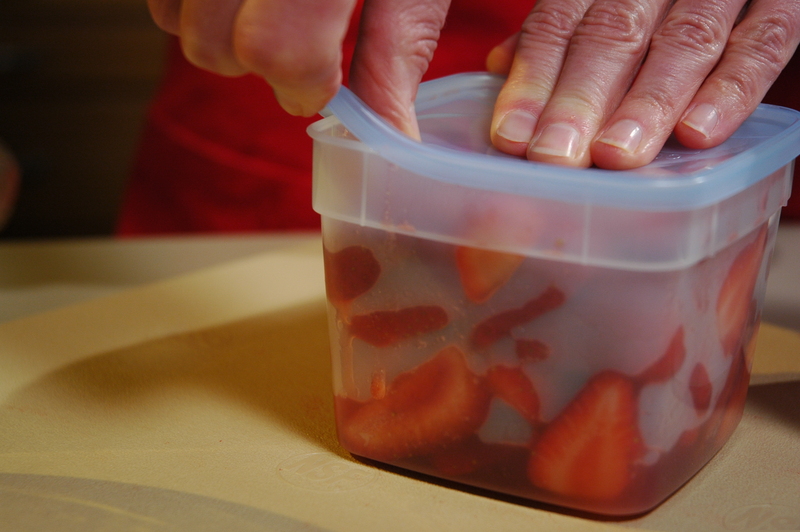 You can view step-by-step directions and photos for a sugar pack by selecting the PowerPoint presentation under “Strawberries” on the National Center’s ‘Freezing’ page. If you add sugar to the berries before freezing (as in the sugar pack, syrup pack, or crushed/puréed), then label the container with exactly how much sugar you add, so that you can include that quantity as part of the amount of sugar called for on the ingredient list of your final product recipe. If you know you will use your berries for a jam or other recipe, you can mix just the right amount of fruit and sugar together before freezing. 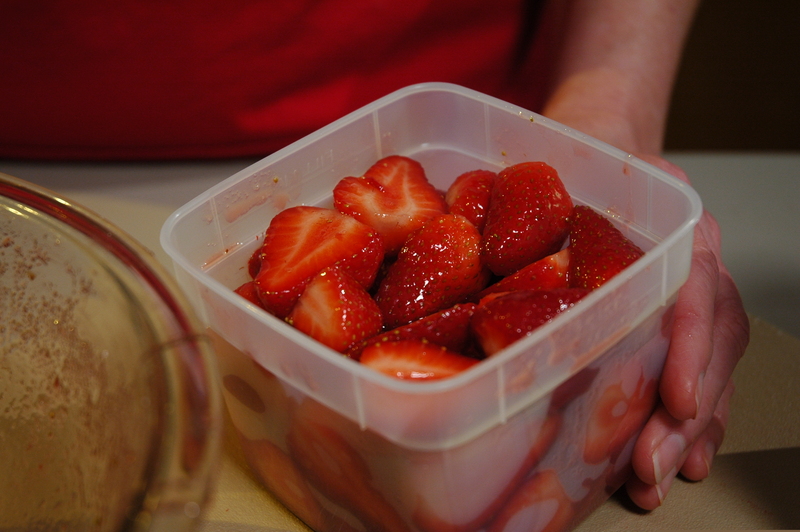 For all types of pack, remember to leave at least ½-inch headspace (more for some styles of pack; see chart for exact measurements) between the berries and the lid of each container so that the containers don’t break open while expanding in the freezer. Also make sure the sealing surfaces of your lid and bottom are completely clean and dry, if you don’t use a plastic bag. Any trapped food, sugar or syrup can expand when frozen and separate the tight seal that should be in place. This entry was posted in Freezing and tagged berries, blueberries, freezing berries, frozen berries, huckleberries on May 27, 2015 by nchfp. Springtime often brings warm sunshine, cool breezes, fresh fruits…and the opportunity to plan refreshing treats for the hot summertime ahead. Fruit smoothies in the summer are not only a welcomed way to cool down but are also nutritious, delicious, and easy to prepare. Due to the popularity of smoothies, recipes are easy to find; look online, on product packaging, and in books and magazines. Once you get the hang of it you’ll be making recipes of your own. A medley of frozen fruits from our global food suppliers helps you mix-and-match a variety of flavors with fresh fruits and berries that will be ready for harvest later in the season. Fruits like bananas, pineapple, and mango are not typically grown in the United States, but are available year-round at grocery stores. These three fruits in particular add consistently tasty flavor and texture to smoothies. Keeping them frozen allows you to use them in smoothies as you would otherwise use ice cubes- but fruit “ice cubes” pack a lot more flavor than regular ice cubes! – Make sure your freezer is set to 0°F or below. – Select fruits that are mature, ripe, and at their peak of freshness. – Work under sanitary conditions; freezing does not destroy enzymes or kill microorganisms, it just slows their effects. – Peel fruits, remove cores or seeds as needed, then slice into chunks about the size of regular ice cubes. – Enzymes may still cause browning of fruits, so you may want to add ascorbic acid, citric acid, or lemon juice before freezing. Refer to http://nchfp.uga.edu/how/freeze.html for exact quantities. 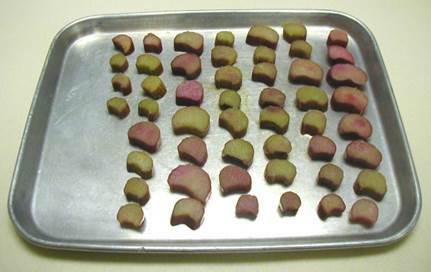 – You might also want to place the fruit pieces on cookie sheets or trays to freeze them individually before packing them for storage. This step makes it easier to separate them for use. 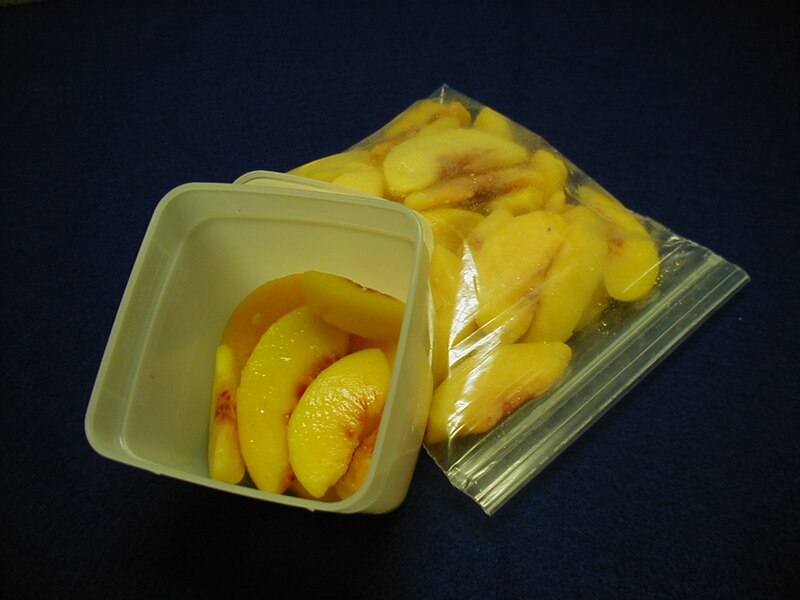 – Store the pieces of fruit in a rigid container or plastic bag that holds one half-gallon or less so that all pieces freeze fast enough to produce a satisfactory quality. Choose containers that are moisture-vapor resistant, durable, leak-proof, easy to seal, and easy to mark. Label with the type of fruit and date for easy identification. Depending on where you live and from where you get your fruit, you might already be seeing strawberries fresh off the vine. Sooner or later you might also have fresh peaches, raspberries, blueberries, and/or blackberries. Whatever your local flavor, having some frozen fruits stored in the freezer will allow you to blend a fresh, cold smoothie whenever you like! This entry was posted in Freezing, Seasonal Food Tips and tagged banana, berries, blackberries, blueberries, frozen fruits, mango, peaches, pineapple, smoothies, strawberries, summer treats on April 2, 2013 by nchfp.